The Sounders star will sit out Sunday’s game in Portland because of an irregular heartbeat. The club released no further details on his condition Friday. Clint Dempsey, 33, has been diagnosed with an irregular heartbeat and will miss Sunday’s game in Portland against the Timbers, the Sounders said Friday. A media release provided no further details beyond saying he is undergoing medical evaluations. Dempsey, along with defender Chad Marshall, stayed home from the trip Wednesday to Houston, where the Sounders drew 1-1 with the Dynamo. 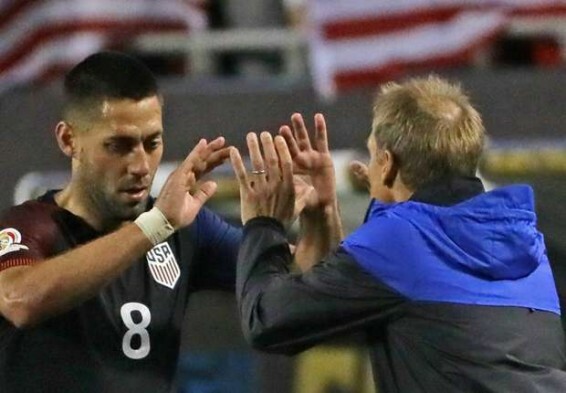 The assumption was that Dempsey, who has also played a busy schedule this year for the U.S. Men’s National Team, was merely being rested for the rivalry re-match. Dempsey scored twice in a 3-1 win over the Timbers Sunday at the Clink. A U.S. Soccer spokesperson confirmed to ESPN FC that Dempsey will not be called in to the national team for the World Cup qualifiers at Saint Vincent and the Grenadines Sept. 2 and against Trinidad and Tobago four days later. Dempsey has scored eight goals for the Sounders this season, five of which have been since the firing of longtime coach Sigi Schmid. The Sounders are unbeaten in five matches under interim coach Brian Schmetzer. Seattle is one point behind the Timbers and the San Jose Earthquakes for the sixth and final MLS Cup playoff spot. Dempsey is in his fourth season with Seattle after transferring from Tottenham of the English Premier League. He has 82 appearances with 37 goals and 23 assists. He is the only player in MLS to record double-digit goals and assists over the past two seasons. If Dempsey and Lodeiro both miss the Portland game, the Sounders are in trouble.